bowlingball.com continues our series of Editorial articles with this feature about bowling ball evolution. 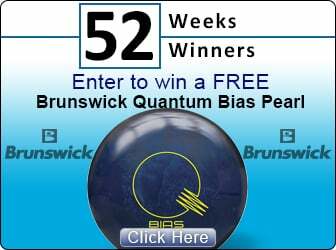 Tracking the history of bowling balls can be fun and informative and leads us chronologically to where we are today. We can begin our exploration into bowling ball evolution by looking back at the origin of the sport. Some assign a possible origin of bowling as late as 3200 BC with a collection of objects which appeared to be an early form of bowling. Others assert that bowling began possibly in 300 AD or in England circa 1366 under the reign of King Edward III. No one is quite certain when bowling evolved, however, from a nine pin game to a ten pin game. The sport had it's ups and downs in America until Joe Thum formed an institution known as the American Bowling Congress in 1885. Today, of course, the ABC is known as the United States Bowling Congress (USBC) and has stood the test of time for more than 125 years in America. Bowling balls were previously made of lignum vitae, a very hard wood product. It wasn't until the first rubber ball was introduced in 1905 called the "Evertrue." In 1914, Brunswick Corporation produced the Mineralite ball, touting its "mysterious rubber compound." As part of their advertising campaign, the manufactures sent the balls, known as “Mineralites” on a tour of YMCAs around the country. At this time, there was no concern for the relationship between bowling balls and lane surfaces. Rubber balls were used predominantly leading into the 1970's. The low friction surface coverstock on a rubber ball actually produced slightly more surface friction than does polyester (plastic) bowling balls and was similar to the low grade original urethane coverstocks but not as versatile as urethane material coverstocks, thus the end of the rubber ball era entirely. Rubber bowling balls offered a profound odor when being drilled due to the melting of soft rubber as the drill bit was heating during the drilling process. Rubber balls had really no core design but rather light density inner-fillers in the center of the ball with a weight block near the surface of the ball to provide some layout options for the pro shop operators. The technology of modern equipment has made the rubber ball antiquated. One of the last successful rubber coverstock bowling balls was the Brunswick LT-48 model which was first introduced in the 1970's and was a successful ball into the 1980's. The next change in bowling ball composition came with the development of the polyester ball in 1959. Such balls provided more hooking action on the prevalent lane finishes. Originally, polyester balls were transparent, but this allowed dirt to be more visible, so the formulation was changed to make the balls opaque in order to hide the dirt. Plastic balls, or more properly, polyester coverstock bowling balls, replaced the rubber ball in the 1970's on the Professional Bowlers Association (PBA) Tour and was the dominant ball during the decade. Polyester balls are the least aggressive of all modern day coverstocks available in the market. Plastic balls react least aggressively of all coverstocks in oil and on dry parts of the lane. Plastic balls are good when a bowler needs the ball to go straight up-the boards of the lane, for spare shooting, or perhaps even for extremely dry lane conditions. During the late 1960s and early 1970s, a problem concerning these new polyester balls and existing lane conditions arose. For a ball to react properly there had to be a certain coefficient of friction. However, the coefficient of friction between the polyester ball and lane conditioning material was a very low rating causing the ball to skid too far down the lane and not have a strong ball motion from the break point to the pocket. To counter this, some professional bowlers sought compounds that would soften the surface of the ball without softening the core of the ball and thus increase the coefficient of friction. Among the compounds tried were methyl ethyl ketone (MEK), acetone, and toluene derivative substances. The use of chemicals to soak bowling balls brought about obvious safety problems. One day during a tournament in Redwood City, California on the PBA summer Tour in 1973, Paul Colwell, a PBA Hall of Fame player fell asleep in his motel room to the fumes of the toxic substance used to soak his plastic bowling balls in the bathtub of his room in an effort to prepare for competition later that day. The PBA acted quickly petitioning the American Bowling Congress (now the United States Bowling Congress) to set standards for the softness of a bowling ball for obvious safety reasons. It turns out that I was personally competing in that event and recall explicitly the reaction of Paul getting ill had on our players and how quickly our tournament committee on which I served in those days moved to ban the practice and use of "soaking" bowling balls in PBA competition. Don McCune is credited as the "granddaddy" of the "soaker era", albeit very short lived, on the PBA Tour. The next change in bowling balls came with the increased use of urethane-based lane finishes. Changes with lane surface coatings were made primarily for economic reasons. However, as lane finishes and conditions changed, was is a corresponding change in bowling balls. It was found that bowling balls made from urethane compounds would perform best on these new lane finishes and conditions. A problem with early models of urethane balls was that they tended to soak up the lane conditioner. As a result, it would be necessary to periodically wash the ball in hot water and detergent to remove the lane conditioner from the pores of the surface. An additional countermeasure taken by many bowlers was to sand the surface of the ball. Doing so improved the hooking action of the ball. Some bowlers originally sanded only the “track” of the bowling ball, but this has since been ruled illegal by the ABC (USBC). The rule now essentially states that if a bowler sands any portion of the ball, be it urethane or otherwise, the entire ball must be sanded. Just as soaking polyester balls in selected solvents dramatically increased the hooking action and bowler’s scores, so do did sanding the surface of a urethane ball. I can personally recall Mike Durbin, and other prominent PBA players, sanding the track of their urethane bowling balls after each frame during tournament competition to get the maximum ball reaction capabilities as they could. Changing the rules served the PBA well as everyone was constantly looking for an edge and wished to remain competitive. Urethane coverstock bowling balls were first introduced in the market circa 1980. The urethane ball has greater angle of entry into the pocket and covers more boards on a given lane condition than does a plastic ball. Urethane is the base material used on other classifications of coverstocks such as reactive resin, hybrid, and particle coverstocks. Urethane bowling balls ushered in the ball motion changes from the old "skid-roll-hook" motion we saw with plastic and rubber bowling balls to the modern "skid, hook, roll" motion we see with today's bowling balls. Check out the link to the Understanding Bowling Ball Motion article I have recently posted on bowlingball.com BowlVersity site: www.bowlingball.com/BowlVersity/understanding-bowling-ball-motion. Reactive resin bowling balls triggered the movement to highly aggressive coverstocks. Reactive coverstocks are composed of similar materials used in regular urethane formations, however, they are blended with different additives. The net effect is that reactive coverstocks provide the "tacky" feeling which translates into additional traction and usually a strong back end reaction on the lane. Sub-categories of reactive coverstocks are the solid coverstock, the pearl coverstock, and the hybrid coverstock, all of which are reactive coverstock bowling balls. Solid reactive coverstocks have the greatest amount of microscopic reactive pores on the ball surface compared to other reactive coverstocks. The solid coverstock comes in a polished finish, sanded finishes, and with a rubbing compound buffed finish so the degree of surface friction can be controlled within the sub-category of solid reactive bowling balls. Pearl reactive coverstocks have the addition of mica material blended into the reactive coverstock material. The inclusion of mica roughens out the microscopic pores causing the ball reaction on dry lanes to be extended in length. Reactive pearl balls have the ability to react quickly to high friction portions of the lane. The mica adds some sparkle to the bowling ball's surface appearance. Hybrid reactive coverstocks are a relatively new combination of solid and pearl reactive covers with the purpose of taking advantage of the benefits of both type coverstocks. Hybrid coverstocks offer the mid-lane reaction of a solid coverstock and the back end reaction of a pearl coverstock. Hybrid coverstock bowling balls offer the versatility of friction match-ups on the lane surface that the solid and pearl coverstocks are designed to accomplish. Particle coverstocks are another successful classification which is similar in the makeup of reactive resin balls with the big difference being an addition of microscopic pieces of material in the coverstock blended to reach through the oily lane conditioner and make responsive contact with the lane surface. Unless there is a fairly heavy volume of oil on the front end of the lane, particle coverstocks will create too much surface friction causing the ball to use energy early and conserve too little energy for the back end and for impact with the pins. Particle coverstocks display noticeable silica particles reflecting from a bright light, as in the case of a camera flash. Epoxy coverstocks made a brief introduction on the market which offered increased traction from the oil portion of the lanes to the dry and offered strong overall hook potential. Epoxy coverstocks have a well documented history, however, of coverstock durability issues, thus adversely affecting the staging power of this type of coverstock. Epoxy coverstocks need improvement in technology for future releases. Manufacturers have spent endless resources over many years time in developing sophisticated coverstocks so the variety of classifications available in today's market offer bowler's versatile coverstocks which can be altered or modified to control length potential on a variety of oil conditions. Where will this technology end - where will bowling balls be in five years - in ten years? Will we see nylon coverstocks. Will some new material be found which increases surface friction and yields a higher hook potential rating than the equipment of today. As a veteran of this industry, I find bowling ball technology amazing and fully expect even more changes in bowling balls in coming years. In fact, will gyroscopes and accelerometer devices used in inertial guidance navigational systems appear in the core design of bowling balls to retain a stable alignment as the bowling balls axis migrates as it travel toward the pocket. How far will bowling ball technology evolve and where and how will the technology influence our industry and growth of our game. Have we reached our maximum capacity now for scoring on modern lane surfaces and with use of existing lane conditioning products. Let's face it, no one has any real insight into the future. As one individual who has witnessed the metamorphosis of bowling ball evolving technology for decades, I believe the high number of USBC bowlers lost over the years has occurred well before bowling ball technology developed to where it is today. There are many reasons the industry has suffered losses in sanctioned league bowlers. We cannot affix those losses completely to the evolution in bowling ball technology. Evolving bowling ball technology has made it possible to witness the high scores we see per bowler capita today as compared to years ago. Let's face it, high scores allow people to have fun but will not save our industry. We must redefine our purpose with regard to bowling as a sport as well as a recreation, as a competitive entity, and re-institute team bowling, scratch leagues, and team tournament competitions at local levels with great emphasis on promoting youth programs as feeding mechanisms into the sport with a higher aim at eventual Olympic recognition one day. Improving bowling ball technology, improving lane maintenance technology and, improving lane conditioning products certainly make our game enjoyable and yield higher consistent scores and averages than ever before in history. Honor scores simply do not and will not increase the number of bowlers participating in leagues each week in our great country. Answers to reviving popularity of competitive aspects of our sport which would lead to an increase in league and tournament bowlers lie elsewhere. If the industry can return bowling to being an even less expensive pastime than it is today where families and children can enjoy bowling multiple times per week and afford doing so, then perhaps we would see the return of some of the six or seven million lost USBC league bowlers. What do you think? Please feel free to share your ideas. Has bowling ball technology become irrelevant or does it retain an important influence in the future of bowling?